You’ve got testing coming up and your students are not excited. Neither are you, for that matter. It’s hard to get behind a day in which your students are miserable, you don’t get to teach them anything, and the results of their bored labor can and will be used against you. 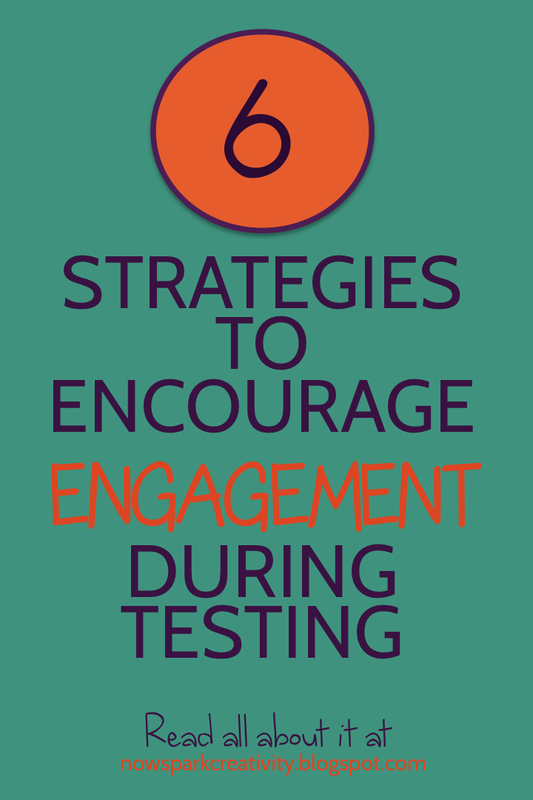 Luckily, there are ways you can encourage your students to genuinely engage in the process of standardized testing, whether or not they can ever genuinely enjoy it. Sports teams are known for their pre-game playlist, walk-out songs, and victory chants. Why shouldn’t your class have the same? Invite students to nominate a class pump-up theme song as a homework assignment. Have them choose a song and explain why it will help the class get ready for the test. Then let the class vote on which song to use. Download it and play it in the week or weeks leading up to testing. Play it as students walk in for the test. Looking ahead to your testing, create a daily game for your students to play in the week or weeks leading up to the testing that engages the test content in a fun and interesting way. 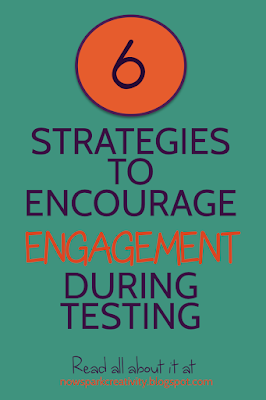 As you build student’s enthusiasm for the games, remind them that the test is just another way to show their mastery of the material they are doing such a great job with in class. If you don't already have a game generator you like, consider using Kahoot. Many students respond to the idea of a challenge, and who doesn’t like to win a prize? As testing gets close, let students brainstorm with you to come up with ways they can earn points throughout the testing. _____ 10 Points Did you go to bed by ____ pm on the night before the test? _____ 10 Points Did you eat breakfast before the test? _____ 10 Points Did you try to stay focused during the test and not zone out? _____ 10 Points Did you make a pump up playlist and listen to it on your way in to the test? If total points are above _____, donut Friday! If total points are above ______, day off of class to have a picnic outside! 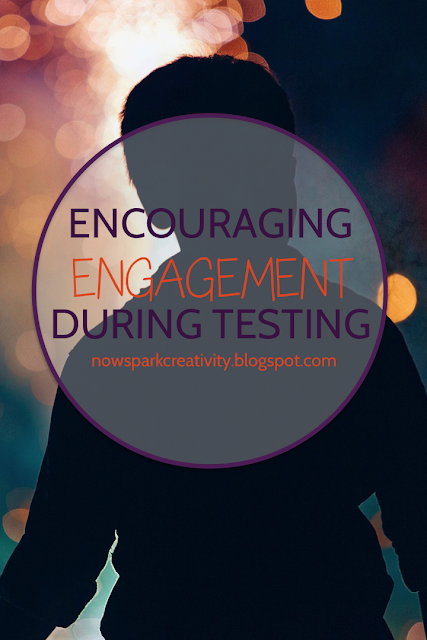 Make your students test-taking kits. Put in some gum and lifesavers, an extra good luck pencil (like these cute ones) a small card from you that says something nice and reminds them of WHY it is a good thing for them and for their school to do the best they can (if you have a lot of students, just print the same one for everyone!). Add whatever you want, whatever you think will make the arduous process of standardized testing just a little bit nicer for them. It doesn’t have to cost much. Choose a color and encourage everyone to wear it on test day. Hand out wristbands. Brainstorm a slogan and bring in a hilarious stuffed animal to be the team mascot. Make t-shirts. Bring pom poms – why not? Taking a standardized test is isolating. Not only is it long and lonely, but its essential nature is judgmental. Helping students feel they are part of the class team and you are their coach and cheerleader every bit of the way can only help break down some of that pressure and stress. 1. Imagine your favorite superhero was about to take a huge standardized test of her superhero ability. Describe the test and how she prepares. 2. Write a story beginning with the line… “I knew the test day was going to go well when I opened the packet and saw the words: You have been chosen. Quietly put down your pencil and walk through the blue door that has just appeared in the wall." 3. Imagine you could give a test to anyone in the world. Who would you test? What would be on the test? What would be the point? 4. Think of a literary character you think would be very good at taking the standardized testing coming up at our school (Hermione Granger? Katniss Everdeen? Ender Wiggin?). Imagine what it would be like if he or she showed up at our school for the test. Write the story of the day. All these strategies complement each other well. 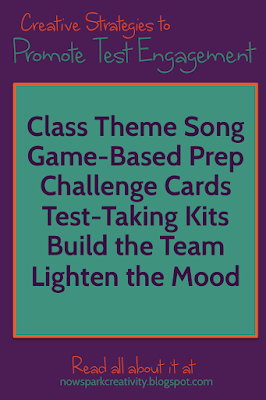 You can play the class theme song as students work on creating test prep Kahoots or other games. 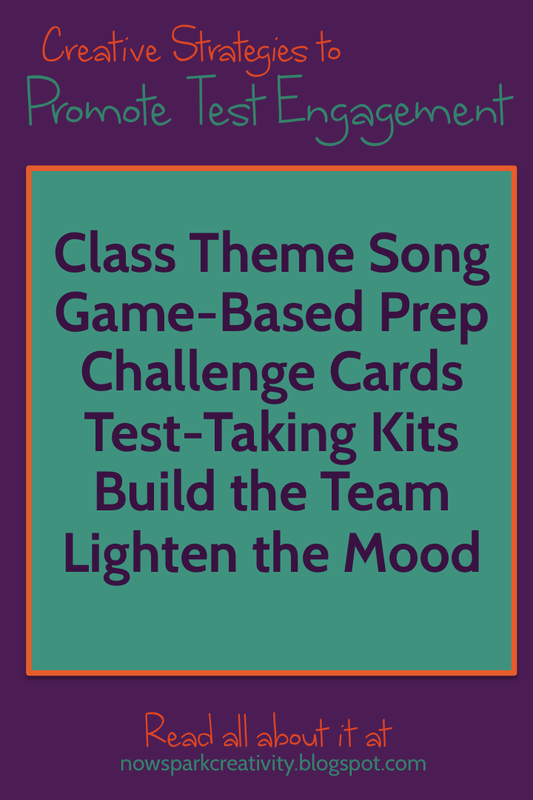 You can let students print the class slogan across the top of their Challenge cards. You can put a little picture of the mascot you’ve chosen in their good luck kits. As you go over the types of material that will be on the test and the structure of the testing, talk to your students sincerely about your hopes for them and for your school, and about how important it is to you to be a good coach and cheerleader for them in this. Ask them how you can help, and remind them that the challenge cards and prizes are all part of making the process fun so you can all help the school by doing your best. 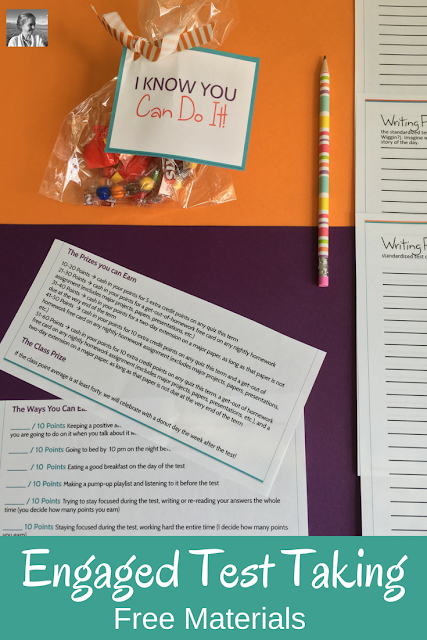 I know your life is busy, so I've put together a free packet for you with a class challenge card, "I Know You Can Do It Cards," and three printable writing prompts. Just put in your e-mail below and I'll send it along! Would you like to talk more about creative methods to help engage your students? Click over to our Facebook group, Creative High School English, and join the conversation. We've already begun discussing ideas for a class theme song (can't go wrong with "Don't Stop Believing" by Journey). What a wonderful post. I'm with you on standardized testing. I've always hated those days as much as the kids. Thanks, Deann! 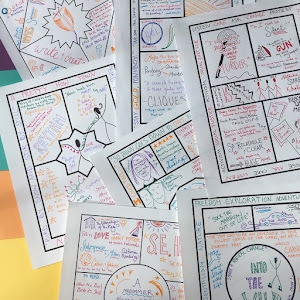 Have you discovered any fun strategies for making it any more digestible for your students? I am eager to keep building my toolkit.